... Fun to make, and even lovelier to give. 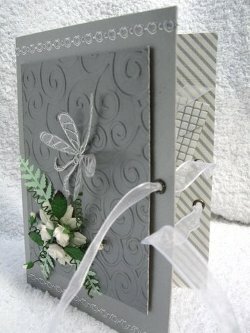 This project is lovely to do and what could be nicer than to give someone their own Memory Book. It is just that little bit more than a card, a real gift in it's own right and an extra special way for them to store reminders of something that was dear to them. Tickets from a show they have seen. Photos of an enchanting night out. Maybe the first school prom your son or daughter has been too. Or an extra special holiday. Perhaps there is an anniversary or birthday coming up. An 18th or a 21st. Or one of the major milestones in a persons life. 50th, 60th, 70th, all very good reasons to make this little gift. 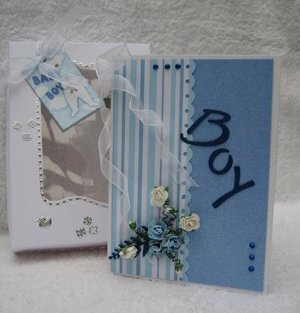 For this project you will need to make some envelopes and you will find the instructions to make them here.... 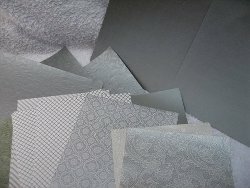 Select the papers you wish to use. You will need two C6 envelopes and two mini ones. For these mini ones I used paper that was 12x12cms.Measure in 4cms on two opposite corners, and 5cms on the remaining two opposite corners. Remove the triangle where the lines cross and fold as you would for the bigger size. 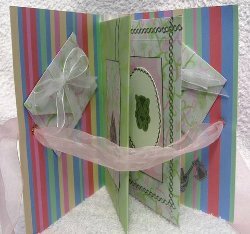 Glue the edges of the envelope in place, taking care not to apply too much as you don't want the opening to be sealed. 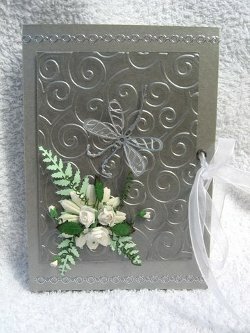 My memory book is for a 25th Wedding Anniversary so I chose silver for my theme. The card was just the basic A4 size but it needs to be 17cms deep. With your card flat you need to fold it in half. Then from that centre fold you will score and fold two lines to either side of it about 1.5cms apart. 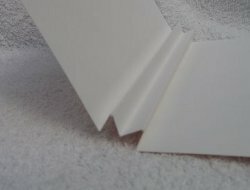 With a bone folder make the score lines into sharp folds so that it looks as the folds in the picture. So you will be pleating first one way and then the other. 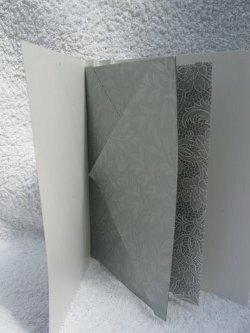 On two of the spine folds add double sided tape and attach the two larger envelopes to them. The next thing to do is to decorate the inside, back and front panels. I stayed with my silver theme and covered the whole of the these two inside panels. Before attaching the two mini envelopes to these, stick some ribbon around them and with double sided tape fix them to the panels at a jaunty angle. Make sure they don't protrude out of the card though. The ribbon can now be tied in a bow, and the envelopes can be used to store small items in. If you wish to decorate the inside more, then now is the time to do it. Inside done? Happy with it? Good ...now for the outside. 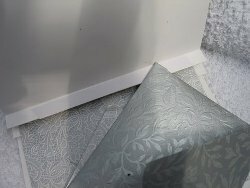 I ran a spare piece of silver card through the die cutter in an embossing folder to give the swirly effect, and attached it with foam pads to raise it up. I applied peel offs to the top and bottom of the memory book, and on each outer edge I put two eyelets and threaded them with white ribbon. Then comes the bit I love.....adding the "Bling"
I used white roses and fern leaves, interlaced with rose buds, and the dragonfly is a peel off on acetate. Altogether a pleasing project to do and I hope you feel the same when you try it too. Add the 25th numbers to the front. Good job it's not going to be sent today...... got time to finish it tomorrow! 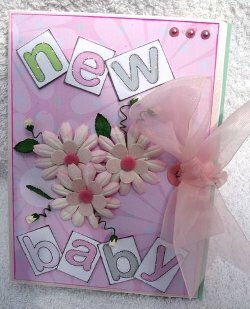 This is another version of the memory book for a new baby. It was made in exactly the same way but kept to pastel colours. 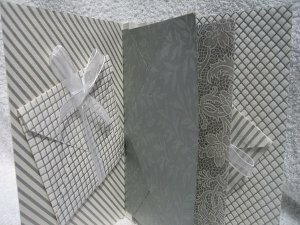 This project would be just as suitable for a new home, a wedding, birthday or an anniversary. In fact anything you want to make it for. 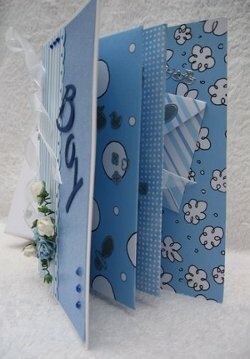 This memory book is especially for a little boy, and I know boys don't have flowers..but I couldn't resist them!! This you can decorate in any way you like. But whatever the reason I hope you enjoy making it. The only thing limiting you is your imagination. So let it go and see where it takes you this time, and why not give some of the other folds a go.